Living on a plant based lifestyle, my options for dining out are limited. So it is always a joy to discover a restaurant that serves vegan food, especially when it is an old favorite. Such was the case with Moe’s Southwest Grill. I had avoided this restaurant that I once frequented, until I realized I could create my own special bowl as I moved down the order line, omitting meat and cheese and tortillas. I stopped by often, grabbing a bowl to go. 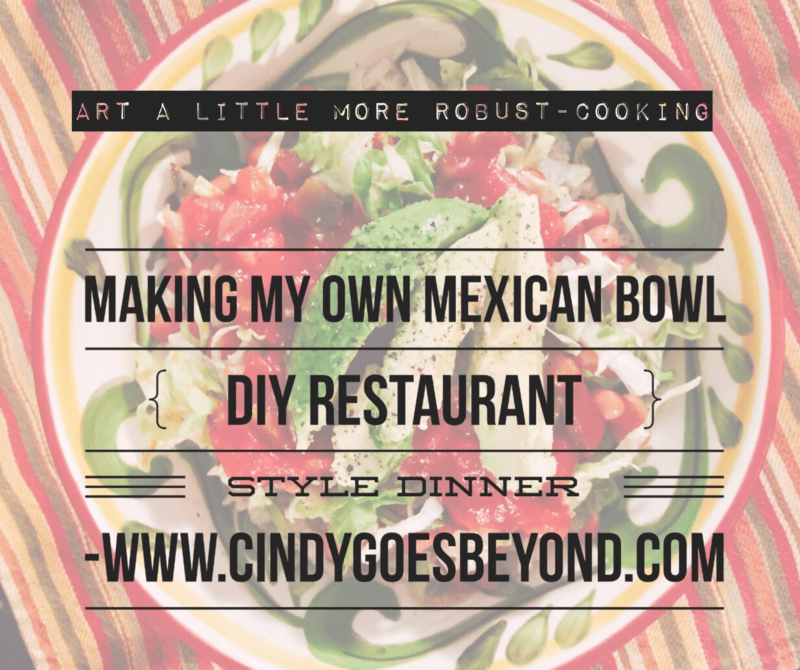 I’m not sure why it took me this long to have a further realization…I could make my own Mexican bowl at home! This easy to create meal is so good, Moe’s may never see me again. 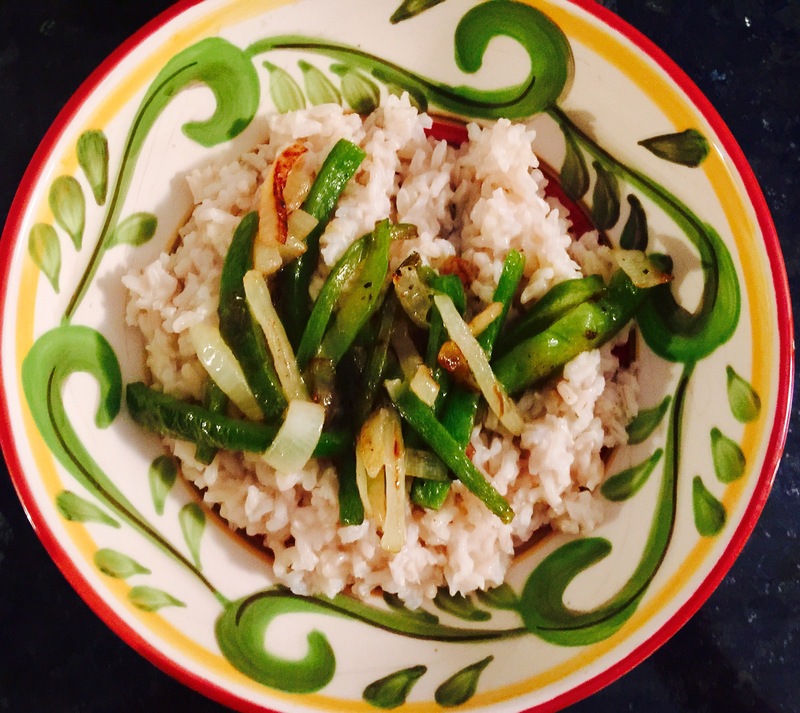 Skip the meat and start with a base of brown rice. I am enjoying the ease of cooking rice in the pressure cooker. 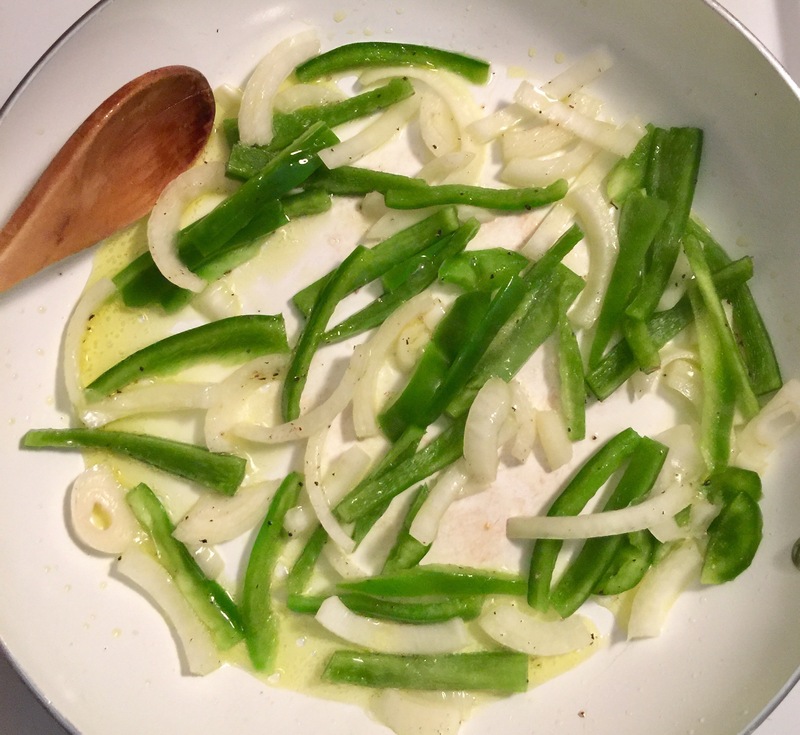 While the brown rice cooks, sauté thinly sliced onions and green peppers in a small amount of olive oil. Other vegetables can be added, according to preference. Good choices include garlic, mushrooms, broccoli or cauliflower. Assemble favorite toppings. Again, there are so many choices. Do your body a favor and avoid cheese, meat and sour cream. 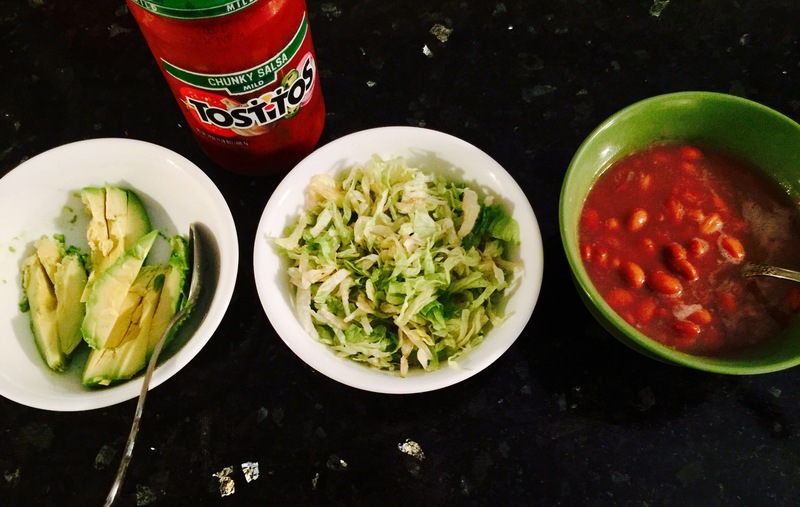 I like to include pinto beans, shredded lettuce, salsa and sliced avocado. 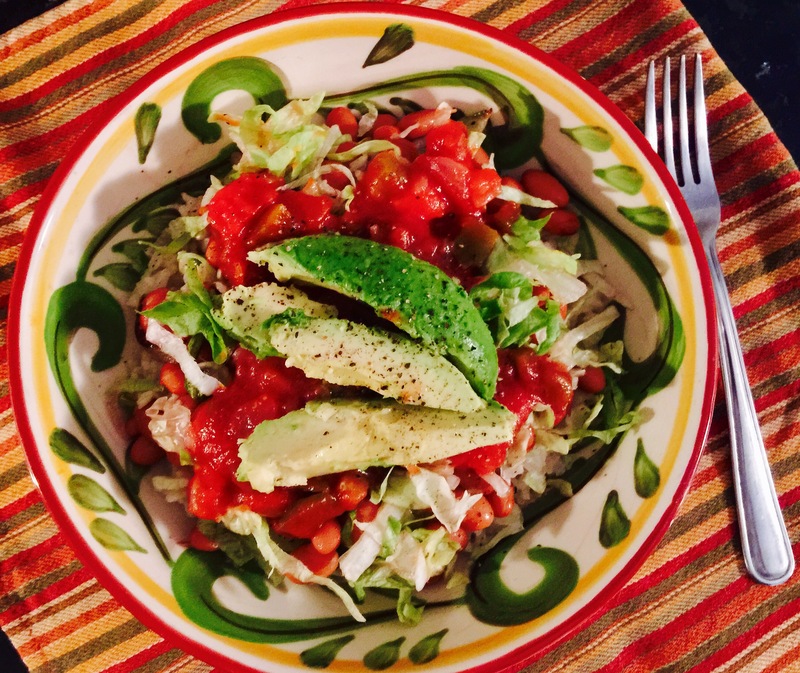 Create a yummy Mexican bowl. I start with the brown rice and then add the sautéed veggies. Next I add beans, shredded lettuce and salsa, topping the bowl with sliced avocado. This colorful meal is so satisfying. 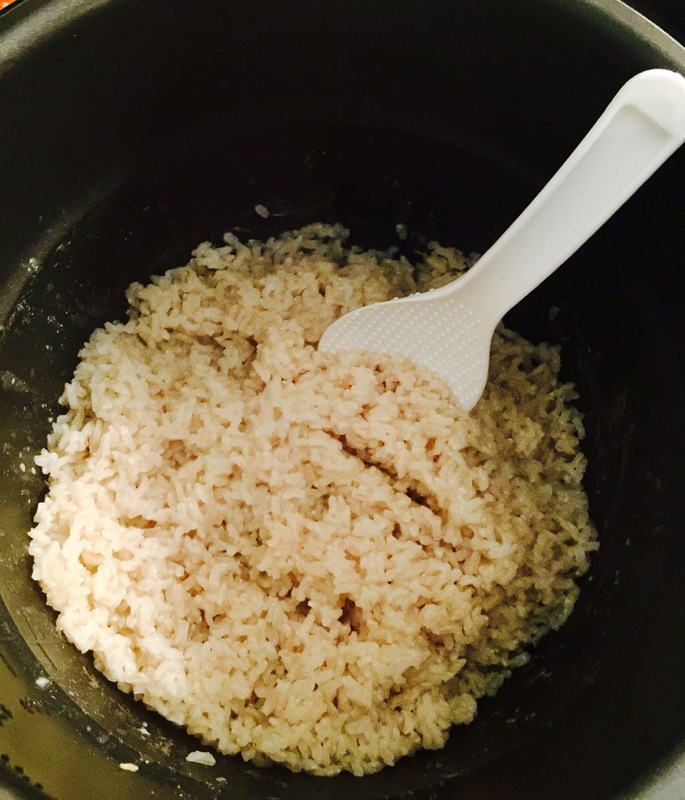 It takes less than 30 minutes to prepare, with the rice taking the longest to cook…about 20 minutes in the pressure cooker. The food is freshly prepared and I like knowing exactly what ingredients are used. Healthy and delicious, this do it yourself Mexican bowl is perfect for lunch or dinner, even for those who aren’t following the plant based lifestyle. Welcome to Cindy’s! Welcome to healthy eating!